The Youth Novels | The Personal Style of Paul Conrad: Every Mule you need to get through Fall. Every Mule you need to get through Fall. The weather is getting a lot colder (thank god) but that doesn't mean you need to break out the boots just yet. I'm so not ready to say goodbye to the mules for winter, SO we're pushing them hard for fall! 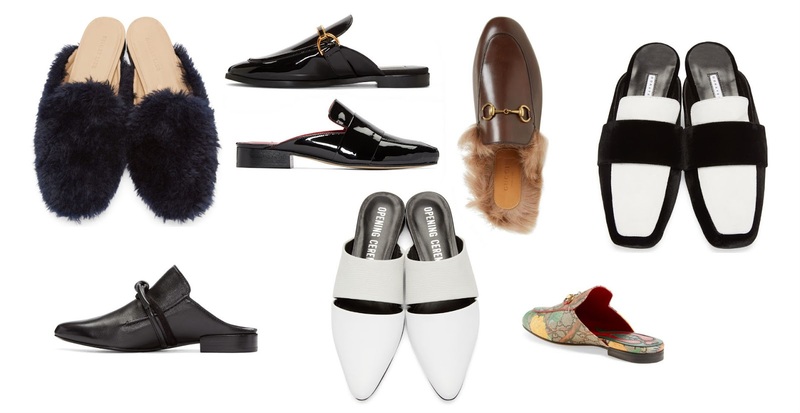 In anticipation for the arrival of my Gucci princetowns (see the brown mule with fur above), I've compiled a list of my favorite mules that you can buy right now! So lets keep those heels exposed, and fight the cold until the snow falls!